Halifax Search engine optimisation ( SEO ) is the process of improving the volume and quality of traffic to a web site from search engines via “natural” (“organic” or “algorithmic”) search results. Usually, the earlier a site is presented in the search results, or the higher it “ranks,” the more searchers will visit that site. Had a beautiful website built with all the bells and whistles? It’s time to invite the whole world wide web to the party. Without search engine optimisation, how do you tell your digital audience you exist? With Fab Spider, we can grow your brand awareness and build your audience. We understand you want results, and a solid return on your investment. That’s why our team of specialists are always measuring the success of your keywords and analysing how they can improve. We then produce reports, stating what we’ve achieved and what we will do next. Fab Spiders SEO plans don’t only focus on keyword rankings and position (although they are important), we also focus on the importance of improving leads. Using keywords and phrases relevant to your businesses services will help you not only rank high but generate leads and enquiries. 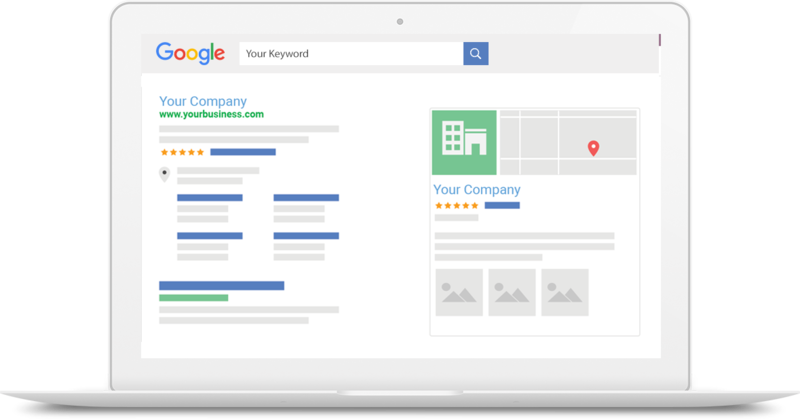 We provide you with a screenshot of each Google, Bing & Google Places SERP for all of your rankings. This eliminates the need to manually verify rankings and is a great way to show our clients “hard-proof”. We automatically schedule daily, weekly or monthly ranking reports. We save you hours of time by putting our customers reporting on auto-pilot in PDF format. We connect to each social network’s Analytics API to provide you with all your social interaction & performance metrics. We easily integrate our client’s Facebook, Twitter & Youtube accounts. Stop wasting time logging into multiple interfaces, quickly post messages and share across all networks simultaneously. Most small/medium business owners have trouble interpreting their website statistics. 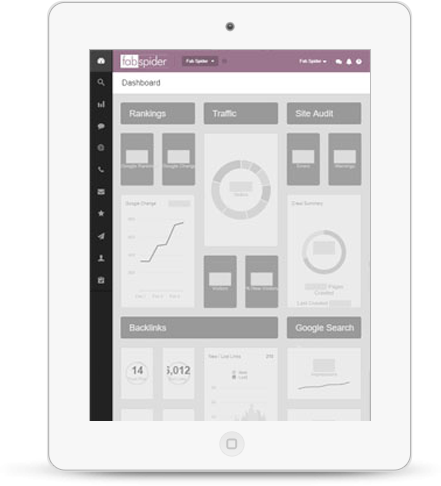 We’ve taken great care to present our clients with the most simplistic view of their stats. all from one customer easy to use portal. At Fab Spider we have proven time and time again that SEO really is the key to success. Not only to be found on Google but to be on the first page and better still, at the top! Without SEO you will lose potential customers to your competitors.